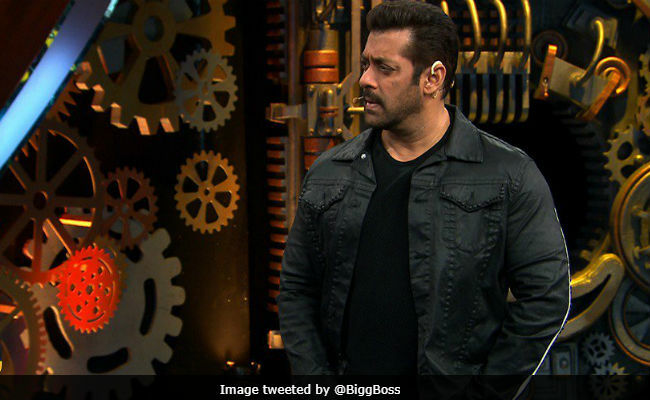 Zubair Khan, who became the first contestant to be evicted form Bigg Boss 11, reportedly filed a written complaint in Antop Hill Police Station, Mumbai, against the show's host Salman Khan for threatening him in the Weekend Ka Vaar episode. In his complaint, Zubair wrote that Salman Khan threatened him and said: "Tu bahar nikal, tere ko chhodunga nahi. Tereko industry me kaam karne nahi doonga, Tere ko marunga." Salman Khan schooled Zubair Khan in Saturday night's episode for misbehaving with the women in the house. Zubair had called Arshi Khan 'Rs 2 woman' (in a KRK style) which infuriated Salman Khan. He also revealed that Zubair is not connected to Dawood Ibrahim's family - Zubair claimed that he is Hasena parkar's son-in-law and wanted to present a better side of himself to his estranged wife and children through the show. Zubair would even threaten the housemates to not cross him. After this direct confrontation, Zubair Khan had to be taken out of the house due to 'medical emergency.' Zubair's formal elimination was announced in the next episode, which aired on Sunday. In his complaint, Zubair said he "consumed pills to get out of the Bigg Boss set." Zubair Khan also claimed that Bigg Boss is "fully scripted" and a "fake reality show," reports IANS. As of now, the police officials have transferred the complaint to a Lonavala police station since the show is being filmed there and the Mumbai police doesn't have jurisdiction. "We have lodged a noncognisable complaint and transferred it to the concerned police station in Lonavala, Pune district, which has jurisdiction to investigate it," a police official told IANS.